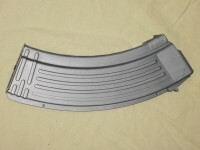 New KCI Korean AK-47 30 round 7.62x39 gray steel magazine. 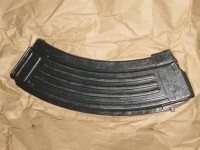 ..
Russian Izhmash true black 30 Round AK-74 5.45x39 magazine in good condition. May have scratche..
Russian Pufgun 60 Round AK-74 5.45x39 quad stack black magazine, new. There are pics on AK..
Russian Pufgun 60 Round AK-74 5.45x39 quad stack magazine, new. Khaki colored, but it looks pre..
New black Tapco USA 20 round 7.62x39 AK-47 magazine. Counts as three 922r compliance parts,&..
Bulgarian Arsenal Circle 10 Marked SLR / AK-47 7.62x39 30 round black waffle polymer ..
Magpul AK47 MOE 7.62x39 10 round P-MAG. ..
Magpul gen M3 40 round 5.56 black PMAG. Third generation MAG233-BLK P-Mag with dust cover&nb..
New factory Bulgarian 5.45x39 black waffle 45 round polymer magazine. It is steel lined an..
New factory Bulgarian Circle 10 Marked SLR / AK-47 7.62x39 40 round black waffle poly..
Eastern European, most likely Romanian, military surplus AK-47 30 round 7.62x39 steel magazine. I..
Magpul AK47 7.62x39mm 20 round back MOE P-MAG. Counts as three 922r compliance parts, should..
Magpul AK47 7.62x39mm 30 round black P-MAG. USA made, counts as three 922r compliance parts, ..
Magpul AK47 7.62x39mm 30 round P-MAG, gen 3. 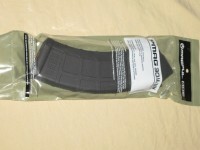 The M3 Pmag features steel reinforced front a.. 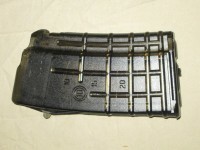 Original Russian Izhmash side slab steel 30 round surplus AK-47 magazine. It is in good condition, b..
Tapco 30 round 5.45x39 AK-74 magazine. It counts as three 922r compliance parts and&nbs..
New black Tapco USA made 30 round 7.62x39 AK-47 magazine. Count as three 922r compliance parts,&n..
Yugoslavian 7.62x39 30 round blued bolt hold open magazine. 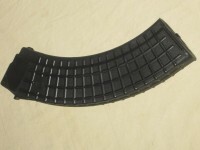 Unsorted from the importer, may have rus..
Arsenal factory SLR / AK-47 7.62x39 10 round black polymer magazine. US made. &nbs..
Croatian AK47 7.62x39 30 round blued bolt hold open magazine, new. ..
East German AK-47 7.62x39 steel 30 round magazine in good condition. May ha..
Finnish AK-47 7.62x39 30 round OD green waffle polymer magazine in good surplus condi..
Hungarian military surplus AK-47 30 round 7.62x39 steel magazine in good condition. Early mag, likel..
Hungarian military surplus AK-47 30 round 7.62x39 steel magazine. Unsorted from the importer. Suppos..
KCI Korean 75 round 7.62x39 AK-47 "Chinese style" flip drum magazine with clear polymer back co..
Magpul 7.62x39 AK47 30 round sand P-MAG. USA made, counts as three 922r compliance parts,&nb..
Korean KCI AK-47 30 round 7.62x39mm steel magazine. New commercial production mag, but may have scra..
Korean KCI AK-47 40 round 7.62x39mm steel magazine. New commercial production mag, but may have scra..
New Korean AK-47 20 round 7.62x39 steel magazine. 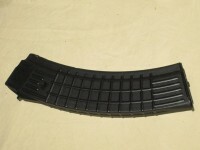 I strongly recommend surplus magazines over t..
Russian Pufgun 30 Round black polymer 7.62x39 AK47 Magazine, new gen 2. 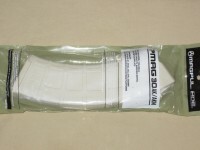 ..
Russian Pufgun 30 Round translucent clear polymer 7.62x39 AK47 Magazine, new gen 2. 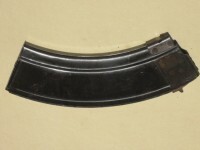 ..
Korean KCI AK-47 10 round 7.62x39mm steel magazine. New commercial production mag, but may have scra..
Yugoslavian 7.62x39 30 round blued M64 bolt hold open magazine in good to very good&n..
Arsenal Bulgaria smoke polymer 5.56 Nato 20 round waffle magazine, new. Circle 10 marked. ..
Tapco Galil 5.56 30 round magazine. ..
Magazine coupler for AK-47 7.62x39 30rd MOE and M3 Pmag magazines. 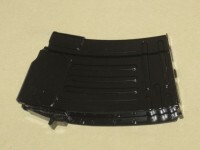 ..
SGM Tactical Saiga 7.62x39mm 10 Round round polymer magazine. ..
SGM Tactical Saiga 5.56 30 Round round polymer magazine. ..
FDE Tapco USA smoothside 7.62x39 AK-47 magazine. It may have some scratches from bulk..
Polish 100 round 7.62x39 RPD drum magazine with links. Surplus, very good condition. Does not fit AK..
Izhmash Saiga .410 4 round magazine. In new condition but it has some scratches from ov..
Molot Vepr 5.45x39mm 10 round magazine. In new condition, but it may have some scratches&nbs..
Molot VEPR factory 7.62x39 10 round magazine. In new condition but it has some scratches&nbs..